Me: I'm so excited to try my hand at gardening fruits and veggies we can eat. And the money I'll save this summer will be huge! Friend: That's nothing compared to how great it's going to be for Ollie to see where REAL food comes from. Holy crap! I never thought about it that way. In fact, I've never thought about where my son thinks food comes from. I'd hate to think he thinks his bananas just magically appear at the grocery store. Or that cereal comes from a box! 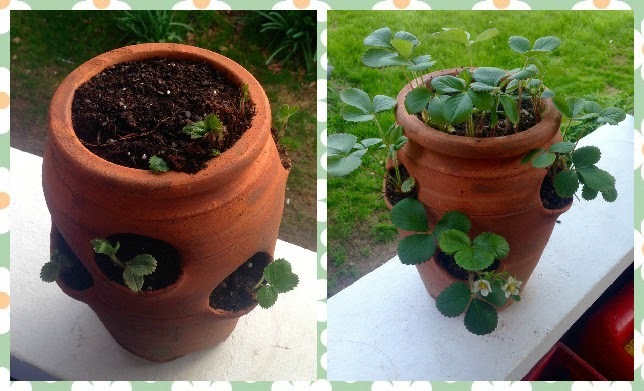 BTW: Look how great the strawberries are doing! Now, don't worry, OH great gardeners out there, I know I have my work cut out for me. I've watched YouTube videos on gardening how-tos, and researched the fruits and veggies I want to plant, and if they will fit in my allocated space. I figure I have to at least try to grow our own fruits and veggies. I have the space in my yard, and the time. So why not? 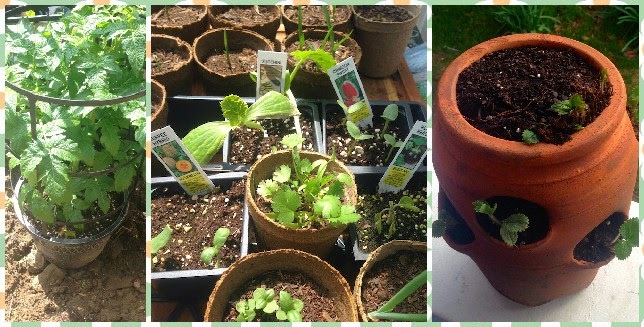 Ollie and I planted herbs from seeds last month; Basil, Parsley, Cilantro and Chives. I am very happy to announce they are all doing swimmingly, save for one cilantro plant that got annoyed, and died. I also bought a few things already well on their way- I needed a head-start and 'guaranteed-to-grow' fruits we eat regularly... Grapes, cherry tomatoes, strawberry (bulbs), watermelon and cantaloupe. 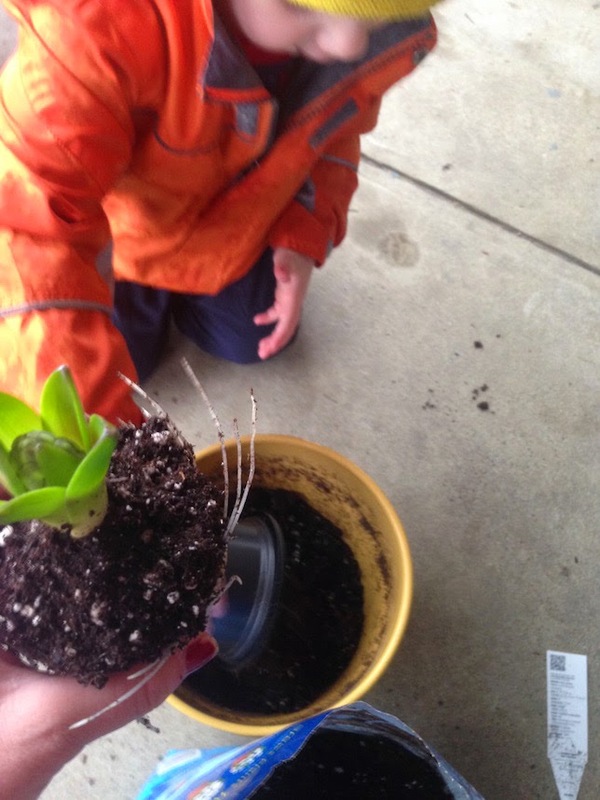 This weekend, now that my region is free of frost threat, FTD, Ollie and I are going to plant our little family garden. Every step of the way, I'm going to explain to Ollie why we are planting the plants, and that with plenty of sun, water and love, we will have yummy food it eat right in our backyard! 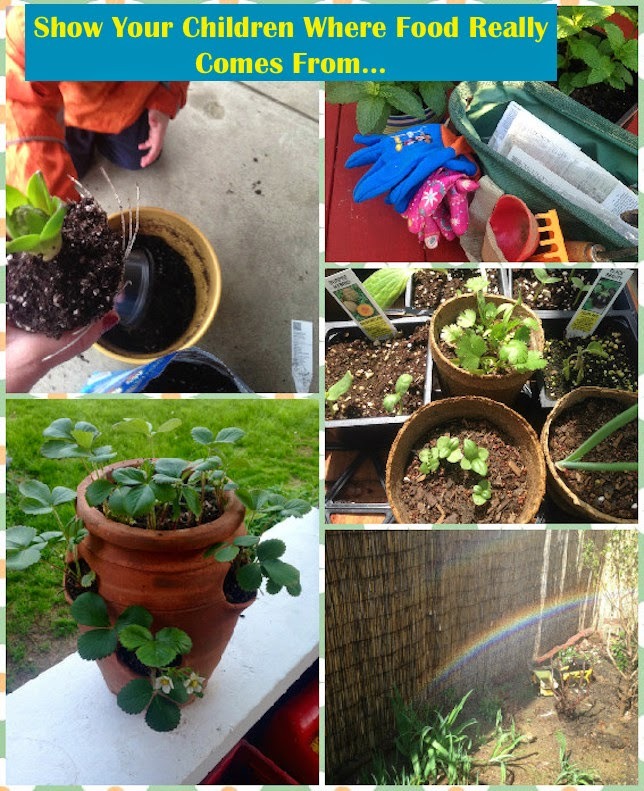 My hope is that all gardening will lead to my toddler not only gain appreciation for nature and yummy fresh food, but also help him have a sense of healthy eating from a very young age. I AM SO FREAKING EXCITED!!! Where does your child think a banana comes from? Any tips for growing a fruit/veggie patch are very much needed and appreciated.